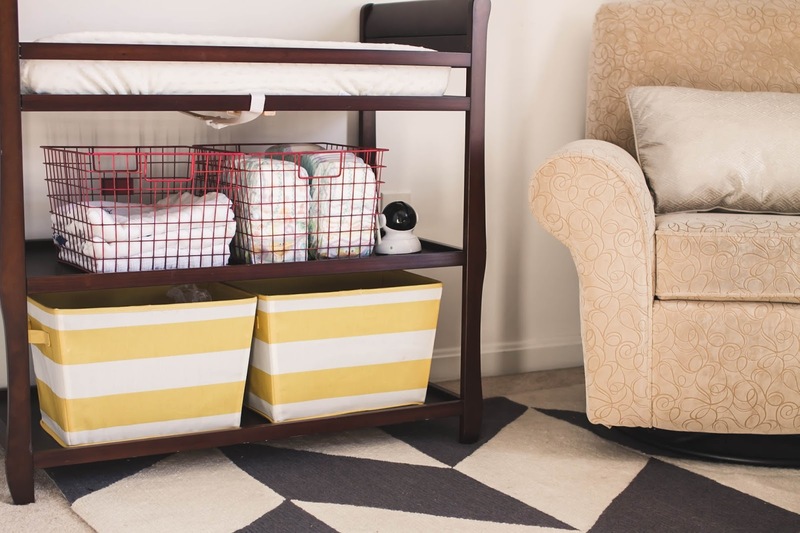 I seem to have this habit of finishing our babies' nurseries shortly after their first birthday. 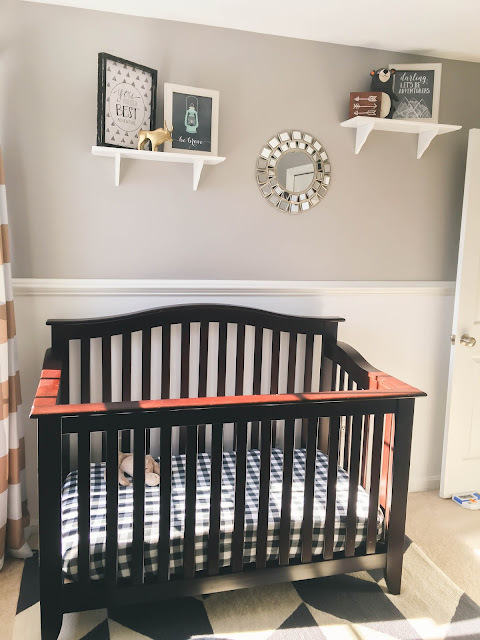 While in my mind I'm all "it needs to be done before he's born" the reality is that isn't until they're nearing their first birthdays (or in some case 18 month birthdays) that it all comes together and I can sit back and cross it off the perpetual "room refresh list." 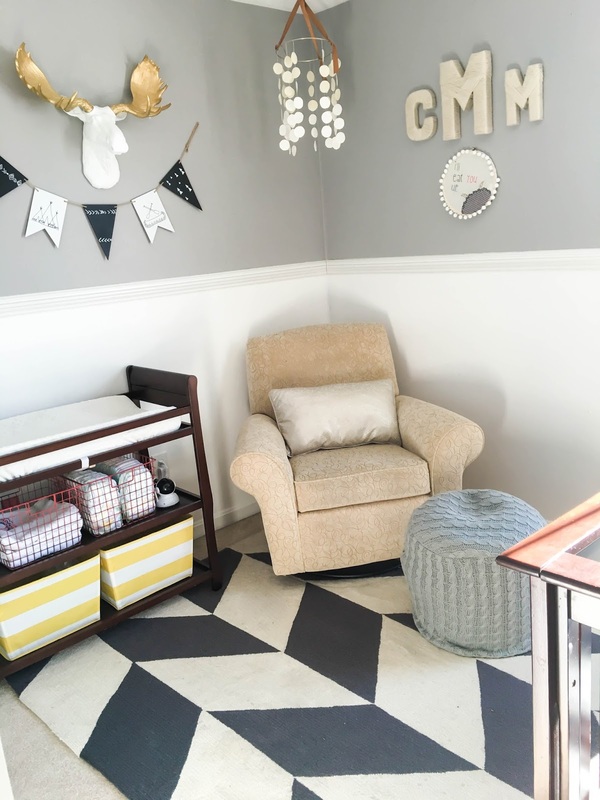 As soon as I found out I was pregnant with our first little boy back in 2009, I knew I wanted to create a vintage Peter Rabbit nursery for him (uber preppy, might I add) and when our second son was born in 2012, I took his nursery plans in a completely different direction with a neutral gray palette with bright pops of bold patterns and color. Since we'd be using the same nursery furniture that we used for our first baby for our third baby and the same nursery space for the third baby as the second baby, I ultimately decided to stick with the gray walls and follow it up with a predominantly neutral nursery with black/gray patterned accents. I also wanted to incorporate the ever-trendy adventure theme without going too overboard. 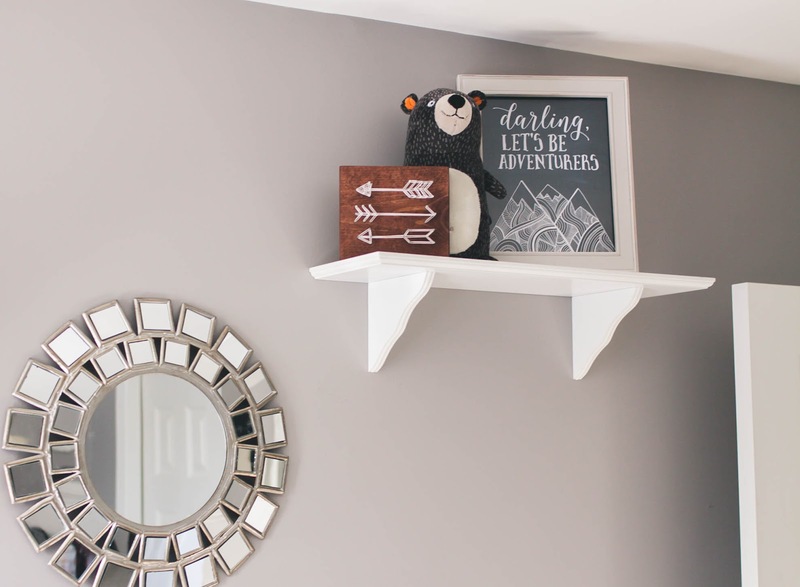 It all started with that amazing moose bust from Etsy shop NearAndDeer. 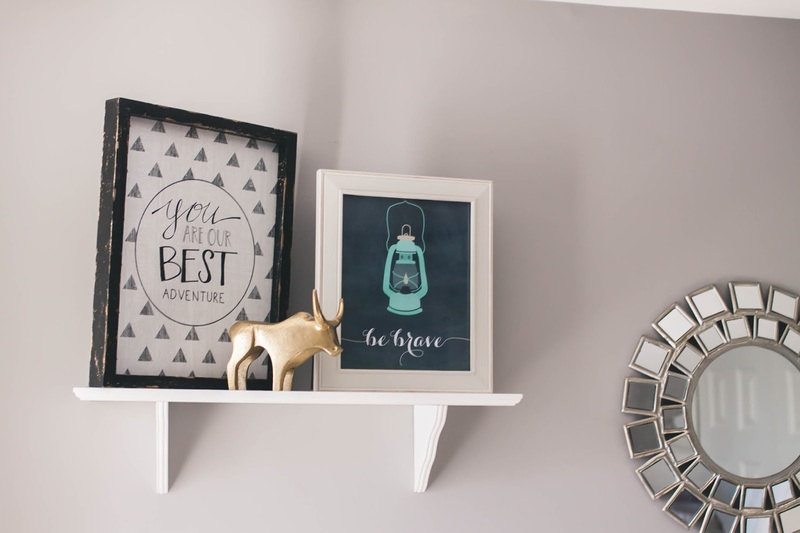 As soon as I stumbled on their Etsy shop of custom faux taxidermy animals, I knew I needed that insanely awesome moose bust as the focal point of the room. 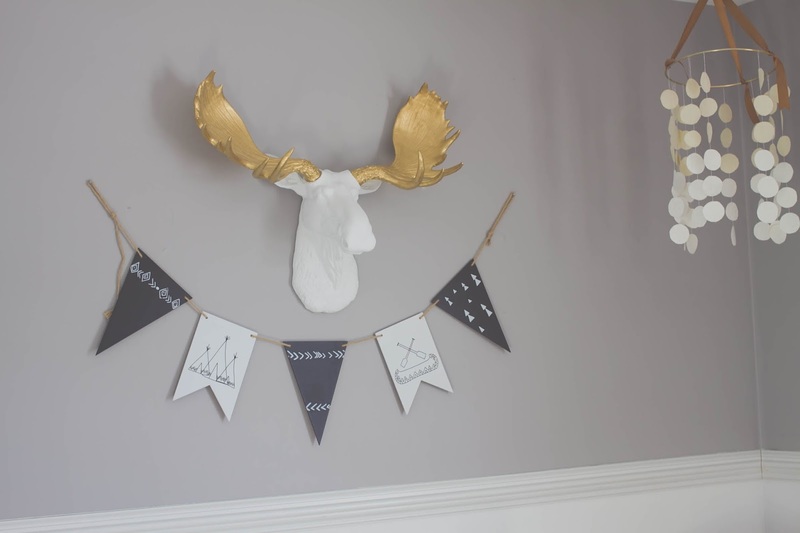 While I had a hard time deciding whether to use fabric or paint on his antlers, ultimately I went with gold paint, trying to maintain that neutral woodland vibe. They were so excellent to work with and I cannot wait to use them again for a nautical piece in our Big Brothers Shared Space. 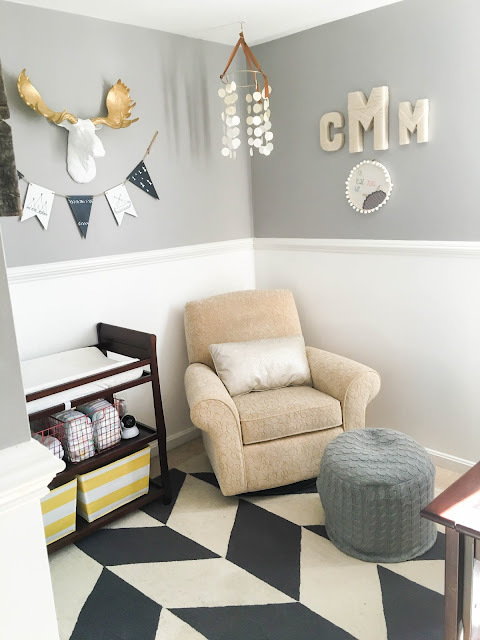 While there are some things I wish I could change about this room (swap out the old recliner for a more streamlined grey version, replace the beige carpet with something more textured, add wainscoting to the walls... the list goes on...) the reality is we won't be in this house a whole lot longer and Collins will soon be transitioning to a big boy room without need of a change table and rocker so it didn't make much sense to make any big changes to the space. I've rocked three babies in that chair and I'm so grateful for every single one of those moments. Three babies have laid their chubby little cheeks to sleep in that crib and it makes my breath catch in my throat when I think about disassembling it for the last time. I love this space so, so much and watching it come together turned out even better than I expected. 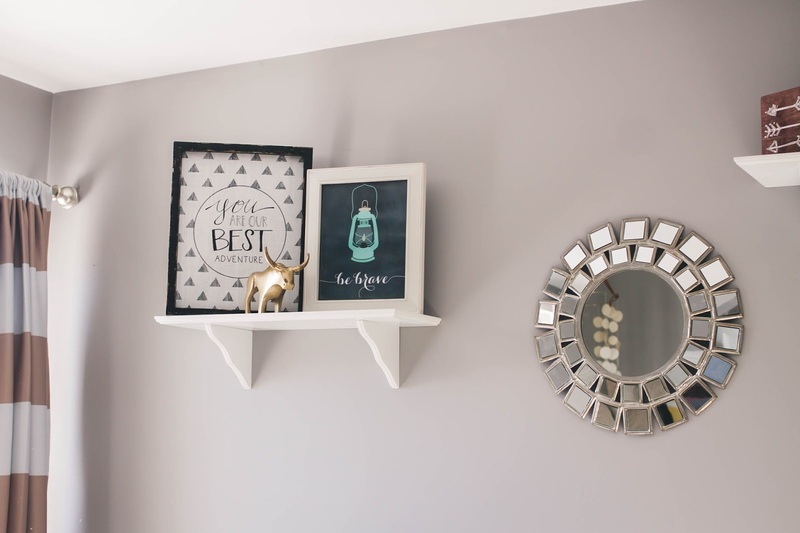 Although it's the tiniest of the four bedrooms in our home, it's hands down one of my favorite spaces and definitely filled with so much love. It's so tiny, in fact, that I had to take the pictures with my cell phone instead of my camera! We're back again and celebrating good ol' heart day with another fantastic blog loop that showcases everything from Valentine's dessert ideas to gift ideas for your best girlfriend, free printables and beyond. 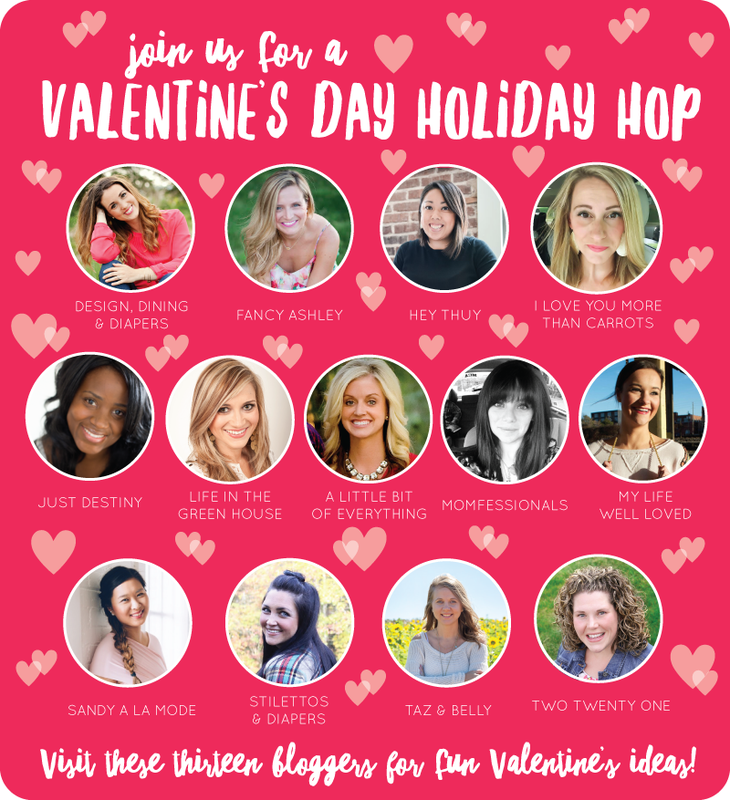 Be sure to read through to the end of this post, meet the other wonderful blogging ladies who are sharing their wildly wonderful talents and to enter for the chance to win a $25 Starbucks gift card- Why? 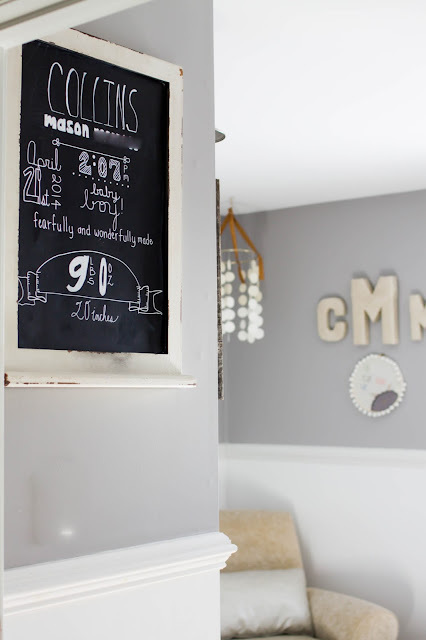 because crafting with your kids is surely made better by strong coffee. 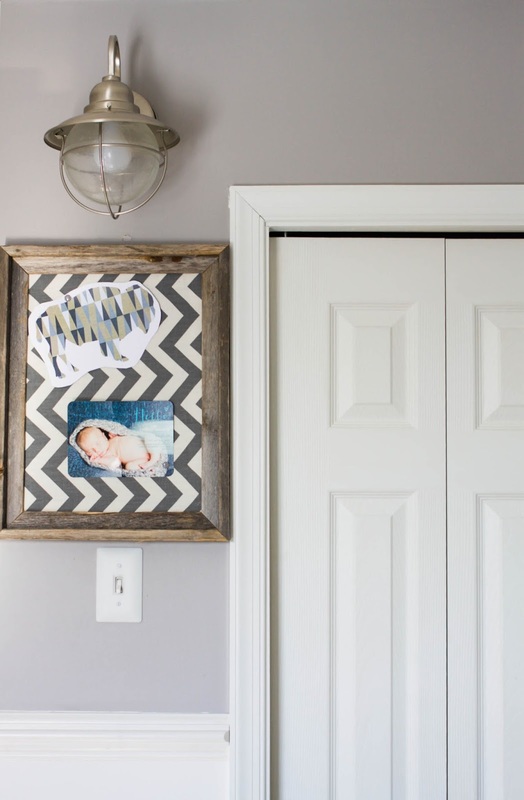 Once I knew we'd be spending a long weekend snowed in as a family of five, it was time to start getting creative with boredom busting activities. 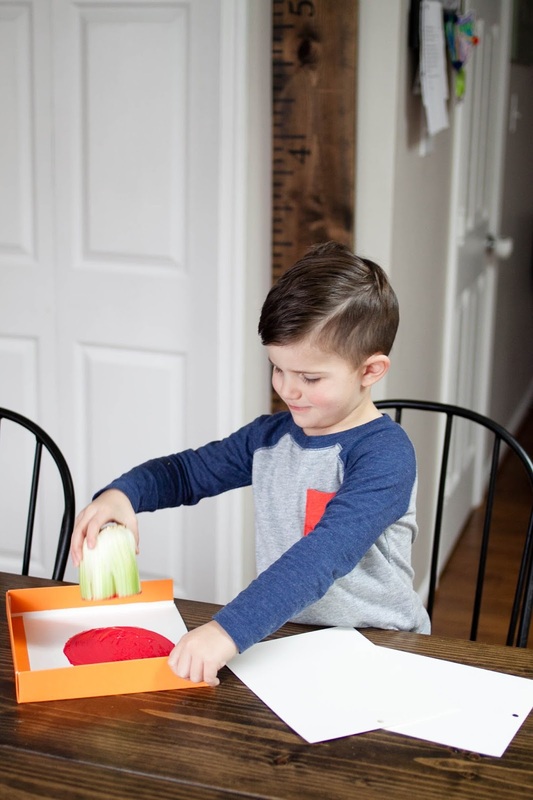 I had already factored several board games and new toys into our usual routine (desperate times call for desperate measures) but I also knew that the time spent together would provide ample time to start working on some Valentine's Day themed arts + crafts that my oldest could incorporate into the Valentines he would be passing out in his classroom. 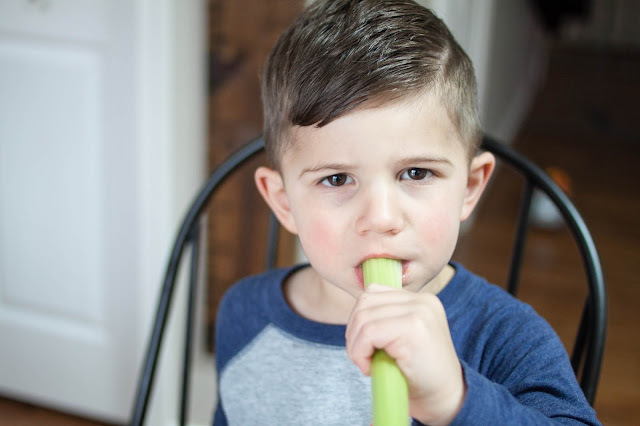 The celery stamping craft we did was just as fun as it was easy. After first seeing it here, it required very little preparation and after digging through the fridge I realized we had everything on hand to get started. 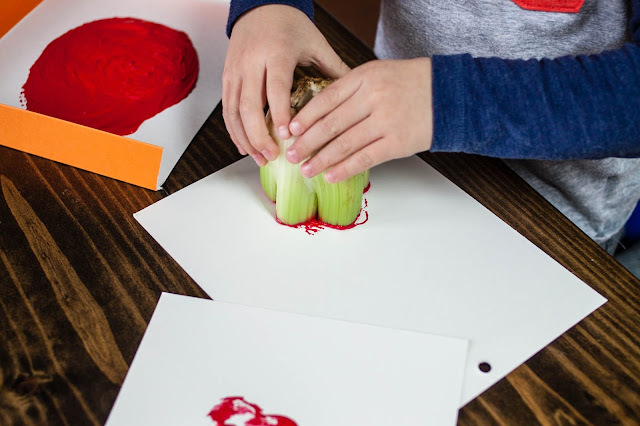 My three year old LOVED this craft the most as he was extra excited about using "celery butts" as paint stampers. 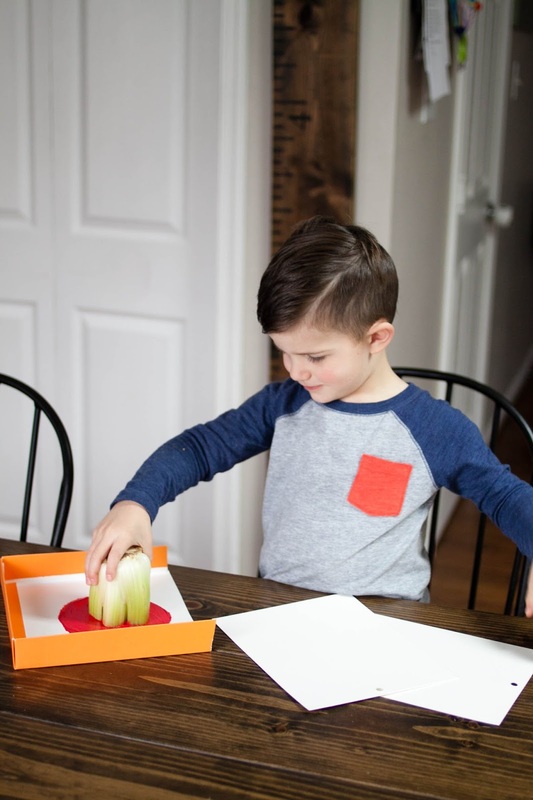 While his art will hang in our house during the month of February, my oldest will be attaching a pack of seeds to his creations and presenting them to his teachers as their special Valentines. 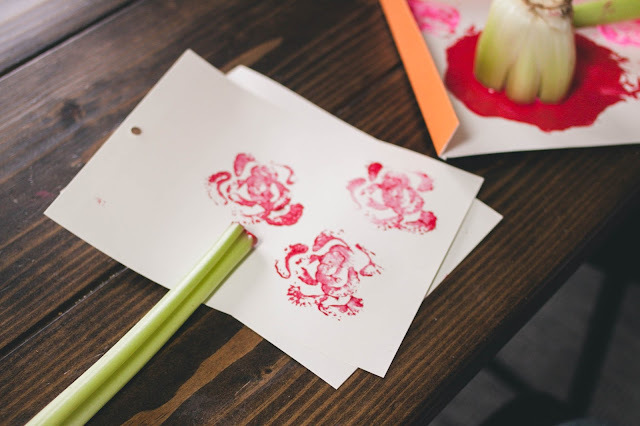 - Paint (Acrylic or Washable, I found that acrylic adhered to the celery better and didn't become watered down as we went along) - The sliced-off bottom end of a bunch of celery - Card stock - Markers, washi tape or any other fun addition that you think might jazz up your painting! I contemplated stirring a little glitter into our paints but it's during times like these when my mother's voice "less is more" echoes through the back of my mind. The What You'll Do is rather self explanatory. Just stamp and go as you please! Once your child is done with his or her stamping, go ahead and draw in your stems and a bow to bring the bouquet together! Finish it off with a washi tape border and voila! 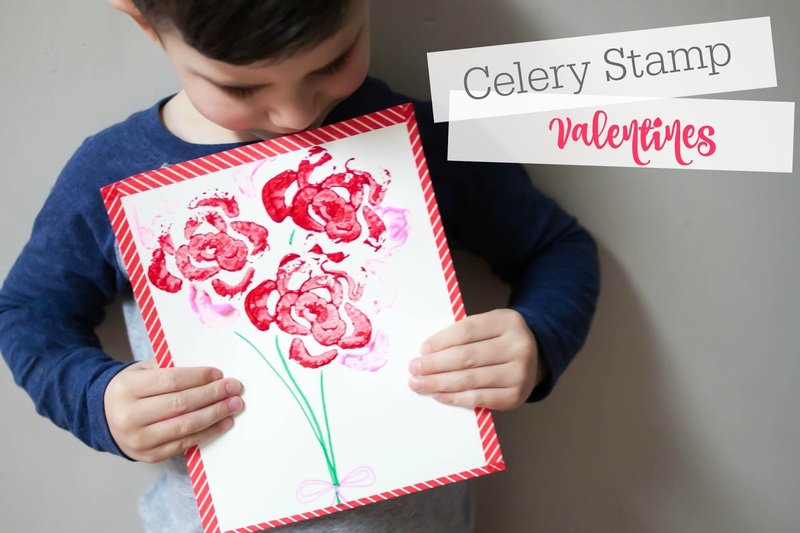 A beautiful celery stamp Valentine. For such a wildly spirited boy, he's serious about his crafts! Stopping mid-stamp for a snack- crafting makes you hungry! Before adding the final touches! Now, be sure to hop around to see what other wonderfully amazing things these pretty ladies are whipping up for Valentine's Day and then enter to win a $25 Starbucks gift card!